The series starts full throttle with Moon Knight thrown right into a New York mystery. It's not a slow start. Each issue so far bring to light a new mystery for MK to resolve with his armory of personalities. IMHO the outfit is just bad, really not a good fit for the character (and maybe a little too derivative of Elijah Snow?). As for the "personalities", multiple identities were always a big part of MK's make up but the multiple personalities were a more recent thing weren't they (such as the SpideyCapVerine version)? Either way, think I'm gonna be leaving this one on the shelf. Shame. I still can't get my head around what happened to MK. Agree Drain....the MK crossover during Civil War but awesome...great art and great story. Please get back to that! So...what did everybody think? Art was not good at all but story was pretty decent. Kind of miss the old costume. I thought it was an awesome first issue! Great art good writing. I just seen a preview for issue #2 and it looks like there is an updated version of the old costume coming. As has already been said MK round about civil war time was brilliant (best ever run I reckon, on a par with Ed Brubaker's stuff on Captain America and Daredevil). Thereafter, it went all 1980s with the vengence, then off in another direction in LA with the Secret Avengers stealth role in between wherein a character who wears white cos he wants people to see him coming provided a contradictory distraction (?). (1) Saying that I reckon the "silent knight" and "date night" one shots are still amongst the most powerful, character defining issues of any comic I've ever read. Okay so I caved and picked up the first issue on my last LCS trip. The first few pages were wasted on a "previously in Moon Knight..." session. Then we get Mr. Knight's first adventure (Batman in a white suit, including an "I already beat you" trope) followed by a couple of twisty epilogues. Art was nice but wish I'd saved my money. Done by Ellis, so are we going to have to wait months at a time for the next issue? So second issue's been and gone and ... and ..... Mr Knight was suddenly Moon Knight again; big cape, fist to the face and not in the least effete. My response was "huh?". Bring on the 3rd issue I guess. Come on Moonie baby, I love you! Well I guess this might mean Ellis is doing another "set up & run". I loved Project Superpowers but I thought it had finished a good while ago. Still cautiously optimistic this MK book can get going. Yep, "set up & run" sounds about right with this announcement. 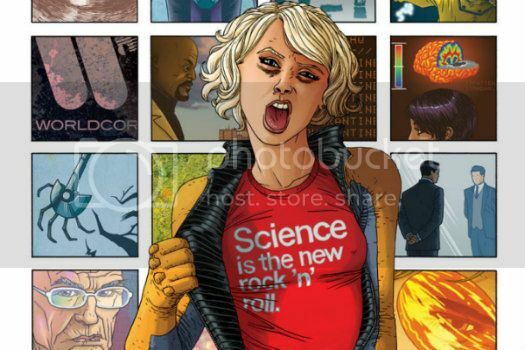 Warren Ellis and Declan Shalvey might be ending their run on Moon Knight with August’s #6, but this new era for Marc Spector is just beginning. This September, writer Brian Wood and artist Greg Smallwood will pick up where Ellis and Shalvey left off, to Moon Knight #7 and beyond. For those considered with someone picking up on the story of this atypical superhero, Wood’s previous superhero work is atypical as well – from Demo to DV8 and on through to his current X-Men run. 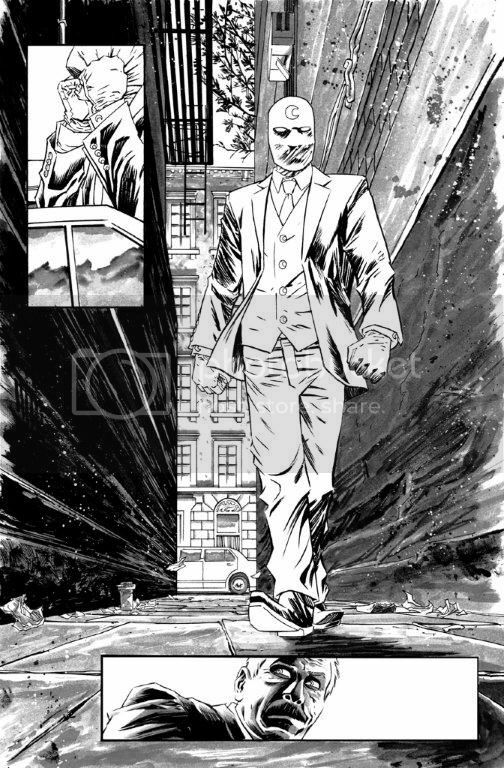 And as far as filling the shoes of the departing Shalvey, Smallwood comes on the heels of some critically-acclaimed work on his creator-owned series The Dream Thief and is looking to make a name for himself in the superhero genre. This new duo will continue what Ellis and Shalvey started in Moon Knight, and series colorist Jordie Bellaire is remaining with the series providing a key consistency in the series as a whole. At first I thought I wouldn't get past the Elijah Snow look, but overall I'm happy with the series so far. It does feel like Planetary guest starring MK though.